Each and Every Customer now are looking for mobile friendly website design. For any professional business mobile friendly website is very important factor because on the internet more than 50% of traffic is now coming from smartphones & tablets. Lets Nurture not only incorporates the ‘responsiveness’ in your website but also makes the required modifications with your existing website to make it retina ready. 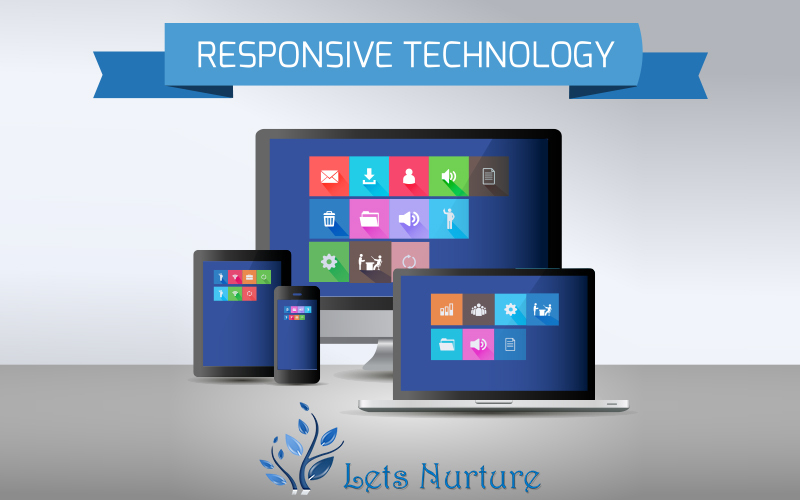 The team of web designers at Lets Nurture makes the most out of the tools and technologies to give you exactly what you want. So whether it is about using grid based layouts, creating and resizing images or inserting the right media, we are the brand you’ve been looking for. Our Process for responsive website design. We will design a stunning website that makes a good first impression and does all it takes to convert your visitors to customers. The websites made by us are interactive, informative and retina ready!. As World is moving towards mobile even search engine prefers responsive websites. If your website is not responsive or mobile friendly you are still not late. That’s what Lets Nurture is here for! Our task is to research and keep working towards making your website better with each passing day so that you can get more number of leads and maximize your profits.